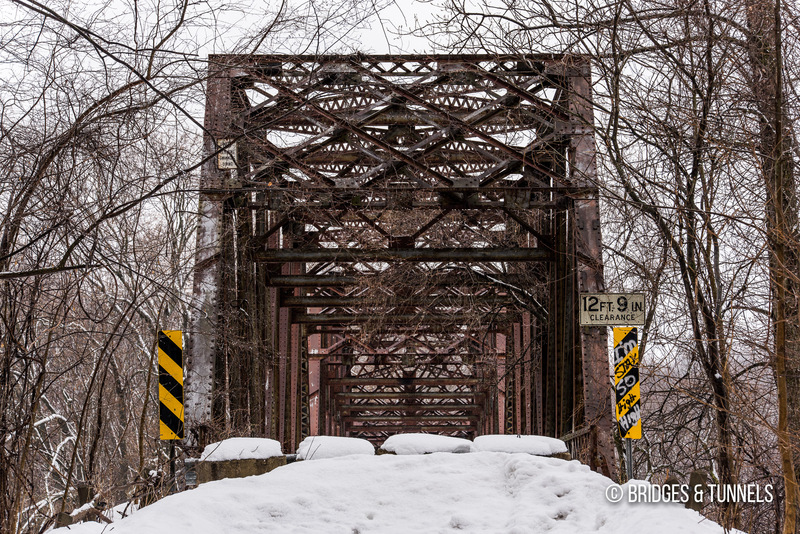 Howland Island Road Bridge is a closed Parker through truss on Howland Island Road over the Seneca River in Cayuga County, New York. In the early 1900’s, the Erie Canal was being reconstructed into the Barge Canal to accommodate larger barges powered by engines instead of mules. 1 A vote in 1903 resulted in the alignment of the Erie Canal being shifted in Cayuga County. Instead of flowing through the towns of Weedsport, Port Byron and Montezuma, the realigned canal would follow the Seneca River. Work began on the relocated canal 1908 and was completed in 1913. The Howland Island Road Bridge was finished in 1913 as part of that project. It was rehabilitated in 1952.